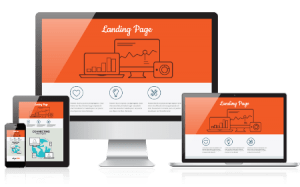 As a online business or an organisation you must update, create and optimize your landing pages continuously. This is manly to make sure, you get search engine spiders’ full attention and make them revisit your site regularly . Search engine crawlers revisit your site periodically. The frequency depends on several algorithms, and a popular site in general is crawled more frequently and an unpopular one. Nevertheless, with enough time, search engines which sites have only static content and which regularly publish new posts. A site that adds regular content bears an advantage in organic SEO over a site that stays the same. After all, readers usually want current information, not obsolete news. Accordingly, search engines gives precedence to those sites that regularly post new updates. If you’re a beauty salon, publish a monthly newsletter on new products in the market. If you’re a book dealer, tell us of latest releases. If you’re a restaurant, share your menu changes. Any business or service can keep its clients up to date with some kind of relevant news, and those that do so rise higher in their organic SEO ranking. An Organic SEO company educates you in blogging and site updating, even if you are a stranger to the world of online publishing. Below are listed posts on the ninth SEO commandment of research.